Recent research in health and aging is providing us with a number of interesting findings about hearing loss. For example, hearing loss is TWICE as common in patients with diabetes. 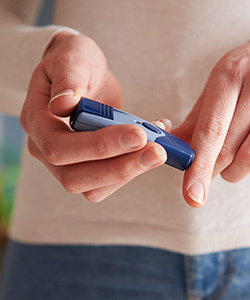 Potentially, the most interesting part of these findings is that the strongest association between Diabetes and hearing loss is found in younger diabetes patients. Therefore, the relationship between Diabetes and hearing loss was not due to aging and the sensorineural hearing loss hair cell degeneration effect starting to be observed in those over age 60. 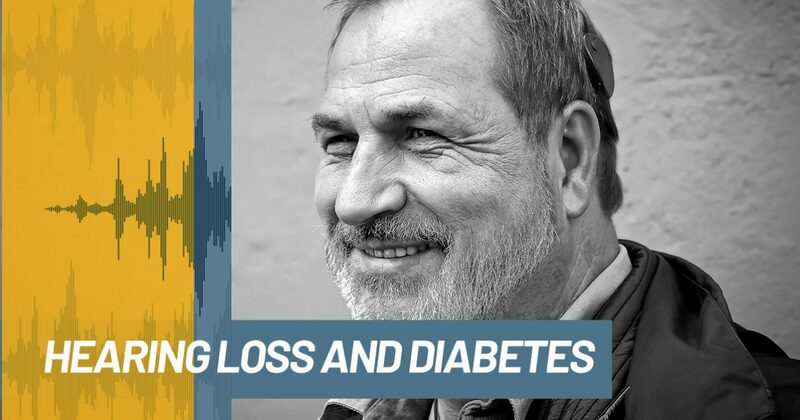 Additionally, of the 79 million Americans thought to have pre-diabetes, the rate of hearing loss is 30 percent higher than in those who have normal blood sugar. This helps explain why diabetes is linked with hearing loss and what is happening, in particular in younger patients with Diabetes. Hearing depends on small blood vessels and nerves in the inner ear to provide oxygenation and nutrients to them. Therefore, high blood glucose levels as often seen in patients with Diabetes can damages these sensitive blood vessels and nerves in the inner ear. Unfortunately, hearing tests are frequently overlooked in routine Diabetes care by physicians. Therefore, if you or your loved one has Diabetes, particularly type 2 diabetes, it is a good idea to have a hearing evaluation. The earlier hearing loss is identified, the earlier it can be appropriately dealt with to reduce the detrimental effects on cognitive skills and provide the best communication skills and quality of life. At Audiology Innovations, we provide complete hearing evaluations as well as other audiology services. Check them out here!